Who said you can’t win in Las Vegas! Purchase your high quality easy to use and read souvenir Adventure Guide Book and Adventure Fun Pack Combo for ONLY $19.95. You will save $10 with this Exclusive Offer. Plus you can save $100’s while exploring Downtown Las Vegas, one of the most unique cities in the world. 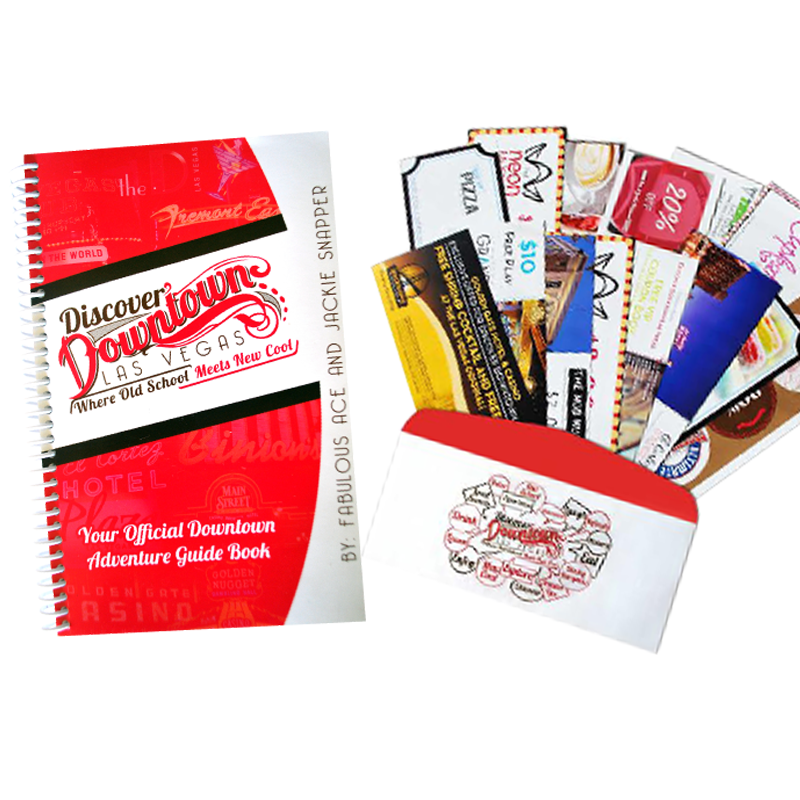 There are two ways to purchase your Discover Downtown Adventure Guide book and Adventure Fun pack. Your first option to purchase is right here online and we will ship direct to you! This works great because you can read through the Adventure Guide book ahead of time and start planning out your self-guided adventure. No time to wait or already in Las Vegas? No Problem! 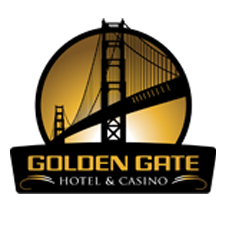 You can purchase the Adventure Guide book and Adventure Fun Pack Combo at the Golden Gate Hotel and Casino Front Desk. This is perfect for your last minute purchase and is also convenient since this is the actual starting point for your Discover Downtown Self-Guided Adventure! The Official Adventure Guide Book and Adventure Fun Pack purchase location. – Makes a unique one of a kind gift. – This is perfect for the Las Vegas visitor the likes to explore on there own time and pace. – A super fun and informative read even if your not coming to Las Vegas anytime soon. – Las Vegas locals love it and are amazed of all the things downtown that they never knew existed. – Locals also get great use out of the self guided adventure when family and friends are visiting from of out of town. They can explore with or without them because of the easy step by step Adventure Guide Book . – Our Adventure Guide Book and Adventure Fun Pack makes a great conversation piece on the living room coffee table, is a perfect gift for your friends and family and a Must Have for any Las Vegas visit. – Limited time $20 off Adventure Guide Book and Adventure Fun Pack combo. What a Bargain! The exclusive coupon offers were fantastic and really enhanced the experience. The money we saved paid for the Guide book many times over. Jill is awesome. thanks for kick starting the Downtown Adventure! Historic to Hip! Discover Downtown Las Vegas Has it all. Super fun and a Super Value. Discover Downtown Las Vegas is my go-to guide when my family and friends come to town to visit. Because of the easy step by step guide, I can take them with me or turn them loose on their own. Where else can you get a full day of fun for under $30? We made a quick stop for lunch with a shrimp cocktail, took a picture with my daughter and a million dollars, and treated my grandson at the toy shack. Lots of fun for the whole family! I can’t believe all that we’ve missed in Downtown over our many years visitng. We loved that it is self guided. We were able to take out time in places that were right up our alley. There was so much to see! We didnt get to everything on this trip but we cant wait to come back and finish on our next vacation. We were Amazed! Not only about downtown history and how Las Vegas got it’s start, but all the brand new additions popping up all over. We also loved the great food finds thanks to the Ace and Jackie insider tips. The money we saved with the coupons in the adventure fun pack more than paid for the adventure. This is the BEST bet in Las Vegas!